Simone Abram is Reader at both Durham University and Leeds Met University, and has worked in interdisciplinary planning departments at Sheffield and Cardiff Universities. 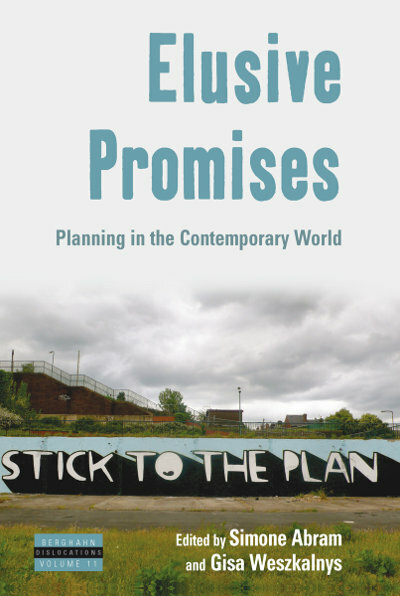 Her publications include Culture and Planning (Ashgate, 2011), Rationalities of Planning (with Jonathan Murdoch, Ashgate, 2002), and Anthropological Perspectives on Local Development (co-edited with Jacqueline Waldren, Routledge, 1998). Gisa Weszkalnys is Assistant Professor in the Department of Anthropology at the London School of Economics. Her book, Berlin, Alexanderplatz: Transforming Place in a Unified Germany (Berghahn Books, 2010) tackles the intricate politics of place in contemporary Berlin. She is currently working on a manuscript focusing on the temporality and materiality of oil exploitation, specifically in West Africa.